Bones hasn't even aired its series finale yet, but David Boreanaz has already found his next TV role. According to The Hollywood Reporter, the star will replace Person of Interest's Jim Caviezel as the lead in the pilot for an upcoming CBS drama about Navy SEALs. The untitled show from Justified's Ben Cavell will follow a group of elite Navy SEALs as they train, plan, and execute high-stakes missions across the country. Boreanaz will take over as Jason, the leader of the team who has been sent on more than a dozen deployments. Caviezel left the project due to creative differences. The rest of the SEAL team has already been filled out. Neil Brown Jr. (Straight Outta Compton) will play Ray, Jason's friend and colleague and the longest serving member of the team. A.J. Buckley (CSI: NY) will play Sonny, who is loyal but self-destructive, while Max Thieriot (Bates Motel) will play a millennial SEAL who uses bravado to hide his insecurity. Toni Trucks (The Twilight Saga: Breaking Dawn- Part 2) will play Diaz, the logistics officer who helps the team get where they need to go to execute their missions. 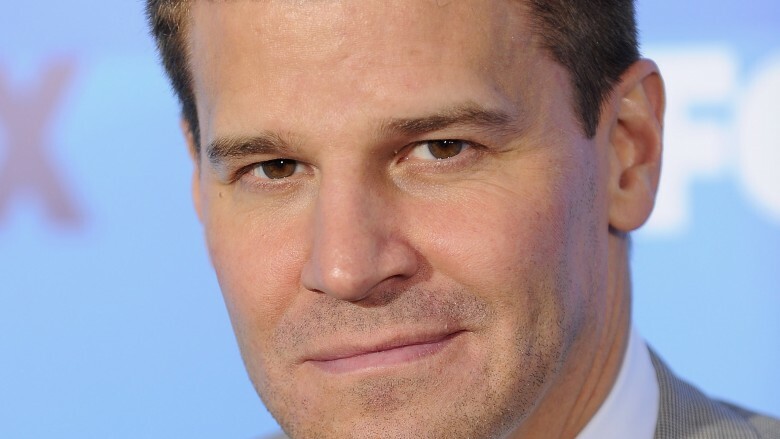 Boreanaz is getting ready to end a 12-season run as FBI Agent Seeley Booth on the FOX procedural Bones, which will air its series finale on March 28. The actor has been working pretty much constantly since landing the role of Angel on Buffy the Vampire Slayer in 1997. He was a regular for three seasons before getting his own spinoff show Angel, which ran five seasons before ending in 2004. He debuted his role on Bones the next year. He is also known for voicing the Green Lantern in Justice League: The New Frontier and for appearing in These Girls, Mr. Fix It, Officer Down, and The Hard Easy. While we wait to see if the pilot gets picked up to series, check out the untold truth of Bones.